I only partly agree with MG here. It’s important to remember that there are not as many birders as determined and self-sufficient as him, and most of us have relied upon the maligned tour companies for many, many memorable finds in the field. I have no problem with them not giving info out for free in some kind of utopian egalitarian gesture. However where he is right is the assertion that for those that do want a DIY approach in China there is scant gen available, at least in English. I think there are some deep-seated reasons for this. Firstly, information on just about anything is not easy to come by in China, by design. And secondly, the vast majority of people in the know in China are photographers, some of whom have a different mindset to birders and seem aggressively competitive. Also, at the risk of being controversial, sharing is not as automatic a concept in China as in Europe or North America. So I think MG is right, but the roots of this may be cultural. The Shanghai Birding WeChat group is a good example–lots of people showing off great photos, but often without any information like dates and exact location. I think this will change as China develops more birders and those birders meet others from different cultures. 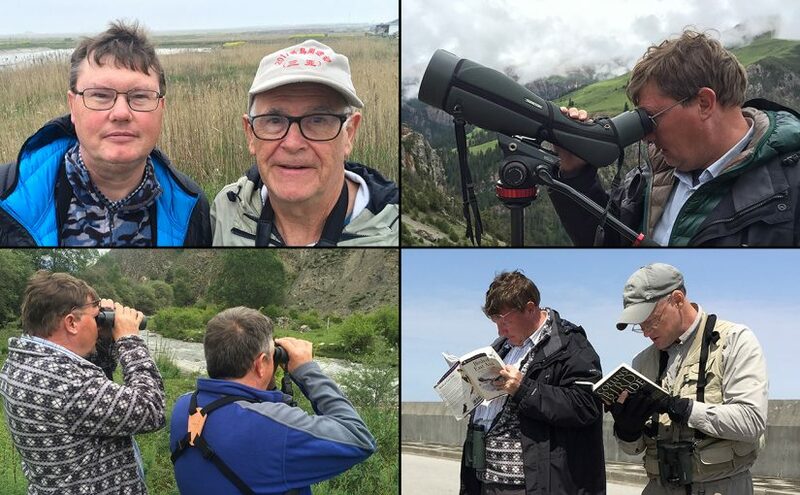 Many of the birders I’ve met in China have been generous with their opinions and info. I hope it catches on. I echo everything you have said….birding in China is a challenge but as its so vast, there is so much to explore! I look forward to more gen on China! I share Michael’s frustration. I also concur with all the views expressed in Russell’s comment. Birding independently in China presents a number of unique challenges, lack of information being just one of them. Nevertheless independent birdwatchers should be encouraged (reasons for this are not discussed here). In an ideal world I would like to see a website where either a Chinese birder or expat birder from each province or locality would volunteer to act as a bird recorder and who would be willing to provide information to prospective bona fide birdwatchers. But just a minute, surely, eBird satisfies my requirements? Not really. Some locations are incorrect (the actual location could be a half or 1 km away). This may have been done in some cases to protect a species, but in any case there is no information on the site, so you could end up as I did, going to Moershan near Guilin to see birds recorded there, only to find that the reserve is closed to foreigners (5-hour round-trip by bus from Guilin). With reference to Michael’s post, it seems likely that we will have to continue persevering with “crumbs” of information for a long time to come. In the meantime, any birder wanting to take on the challenge may contact me and I will happily help in any way I can with locations and logistics. This may be of particular interest to anyone wishing to travel cheaply and by public transport. You can write me at davidwoodford51 at gmail.com.